Bradford White is giving away free DIY t-shirts. To get this t-shirt, just follow our link and supply them with your postal details and they will deliver it to you. 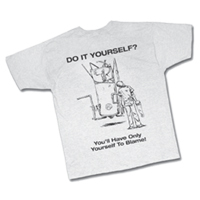 Click GET FREEBIE button and then get your free DIY t-shirt.